Access to CENS.com for more information, industry news & reports. Find quickly product categories of interest. Find easily suppliers of interest. Find here industry news, reports, and editorial articles. Click Inquire Now to safely, quickly connect to online inquiry form for the advertiser/supplier. Click Webpage to connect to the introduction of the advertiser/ supplier. Some suppliers may have stopped advertising on CENS.com, but information in this E-magazine remains accurate as of its publish date. CHIN LANG AUTOPARTS CO., LTD. CHING MARS CORPORATION CHUAN JIEEN ENTERPRISE CO., LTD.
CHYUAN CHANG INDUSTRIAL CO., LTD. DELTA PLASTICS CO., LTD.
HENG FU INDUSTRIAL CO., LTD.
FONG SHUN MACHINERY CO., LTD.
FUJITECH MOTOR PARTS CO LTD.
JPS AUTO PARTS HK LTD.
KDC AUTO INDUSTRY CO., LTD.
KING ROOF INDUSTRIAL CO., LTD.
LI FONG TOOL CO., LTD.
SHEN MENG TRAFFIC EQUIPMENT CO., LTD. SING YUNG MACHINERY CO., LTD. SLOOP SPARE PARTS MFG. CO., LTD. SONG YERS INDUSTRIAL CO., LTD.
YANG SING PRECISION CO., LTD.
TIEN YEH ENTERPRISE CO., LTD.
TSAN HSIN IND. CO., LTD.
TZY KING ENTERPRISE CO., LTD.
Taiwan’s tuning accessories were the main products at MOTORCYCLE TAIWAN (photo courtesy of TAITRA). for the business opportunities associated with the Internet of Vehicles (IoV). According to the statistics by Automotive Research & Testing Center (ARTC), the production value of Taiwan’s automobile electronic industry reached USD 5.5 billion in 2015, with great development potential in domains for enhancing driving safety such as tire pressure detection, heads-up display (HUD), lane departure warning, LED lighting, collision warning, fatigue detection and IoV. The industry supplies the global market in the forms of OEM, OES and AM, and some vendors are in partnership with Japanese car makers. Taiwan’s outstanding industrial performances have also triggered growth in exhibitions for related Foreign visitors paid a visit to TAIPEI AMPA 2016(photo courtesy of TAITRA). sectors. The TAIPEI AMPA and AutoTronics Taipei 2017 will take place between April 19 (Wed.) and 22 (Sat. ), as 1,110 participating exhibitors from 15 countries expect to draw 6,700 foreign buyers and 22,000 vendors from Taiwan. Benchmark companies in Taiwan such as TONG YANG, DEPO, E-LEAD and MOBILETRON will be at the shows. For a long time, Japan has been the largest buyer at TAIPEI AMPA and AutoTronics Taipei. It is widely known that Japanese buyers have the most stringent demand for quality, and their patronage to the shows highlights the fact that both shows have received international recognition in terms of scale, available items on display, and exhibition-related services. On the other hand, visitors from ASEAN countries become a larger group. In 2016, nearly 400 Malaysian and 250 Thai buyers visited the shows, while the number of Philippine visitors grew 42% to 220; Malaysia, Thailand and the Philippines were the fourth-largest, eighthlargest and ninth-largest visitors, respectively. E-vehicles utilizing IoVwas one of the highlights of AutoTronics Taipei(photo courtesy of TAITRA). The MOTORCYCLE TAIWAN and EV TAIWAN are also set to take place concurrently. These four exhibitions arguably provide the most professional show platform for the twowheel and four-wheel vehicle industries in Asia. For detailed information, please visit the exhibition website at http://www. taipeiampa.com.tw. Foreign visitors are welcome to register your visit in advance in order to take advantage of perks such as free airport pickup service. Tuningrims were among some of the important exhibit itemsat TAIPEI AMPA(photo courtesy of TAITRA). We are remarkable in producing special screws, nuts, sanitary utensils, electronic parts, auto/motorcycle spare parts and locks. Equipments: CNC/NC machine center, CNCF machine center, composite 65 mode of lathe, automatic eccentric lathe and automatic loose-cut lathe. We are Group Company which have our own Filter factory in China & export since 1993 to over hundreds of countries in the world. In our Auto Parts Trading section, we own one team of professional and long experience engineer whom will secure you getting high quality Auto Parts with competitive price. In section A Division, we export high quality O.E & ISO16949 certificate factory from Asia Country as China, Taiwan & Japan. In section B Division, export 100% genuine parts (Japanese, Korean & European vehicle & truck) & also Japan original bearing & oil seal. Aluminum Door Handles, Flush Bolt, Finger Catch, Sliding Latch & Pull Handle, Hinge, 4 Bar Hinge, Cam Handle, Sliding & Patio Handle, Window Roller, Screw, Screw Driver, Blind Rivet, Riveter, Cylinder Lock Golden Ware Intâ&#x20AC;&#x2122;l Inc. are Taiwanese company, we have providing building hardware, industry, Auto & Air Plane parts from Taiwan & China since 1990, All OEM parts made by investment casting, Alum. Extrusion, CNC machining, stamping, die casting, alum. extrusion...etc. by material of S.S., Alum. Zinc, Nylon with inspection equipment of Chemical Analysis, CMM, Pressure, Hardness, Tensile and Impact Testing, for the market of France, Germany, U.K., Slovakia, Poland, Canada, USA, Saudi Arabia, Yemen, Tanzania, Hong Kong, Singapore, Australia & New Zealand. Much welcome you send us your inquiry of 2D or 3D or sample to us for quote a reasonable price for your reference, for sure we will be the best supplier for you. HOLI INDUSTRY CO., LTD. M-Benz W/210 Body Moulding, Body Parts, Auto Accessories As we are a manufacture and exporter for automotive body parts since 1987, and specialized in the range of "Mercedes Benz" & "BMW." We have professional experience in this line and good reputation for our service & quality. Founded in 1978, JIU ZHOU AUTOMOBILE PARTS CO., LTD has won great reputation with outstanding quality and wide range products supplies, such as lots of automobile brands of Oil Pan Gasket, Valve Cover Gasket, Timing Cover, and Rubber Kits.High quality, good service and reasonable price have been our aims to keep good relationships with our customers, so we have confidence to get your trust. JIU ZHOU AUTOMOBILE PARTS CO., LTD welcomes any new products; therefore, we love to cooperate with you on whatever any new products. At last, we sincerely hope you can give us an opportunity that will bring you everlasting benefits. Kai Giu Enterprise Co., Ltd. is a professional supplier and exporter in the automotive industry over 30 years. With accumulated product development experience, strict quality control systems, and comprehensive customer services, we have earned a solid reputation in the automotive parts and components filed. Our company policy is to provide our customers with superior products, at competitive prices and with the fastest lead time. We specialize in engine parts, transmission parts (transmission gear, ring synchronizer), stabilizer link, rock end, oil seal and repair kits. Meanwhile, we also work with customers under exclusive-supply tooling projects. Continuous progress in quality and management enables us to satisfy all our customers' various needs. It would our great pleasure to hear from you. MOBALAGREEN ELECTRIC CO., LTD. Automobile & Motorcycle Wire Harness for HID, Sorket Supplying wide-ranging connectors for cars, motorcycles and electronics, we also develop and process connectors and electrical wiring of special specs. Adhering to stringent production, we promote management based on prioritizing quality, customer service and technology transfer, hence creating mutual benefits for maximum profit. SDING YUH INDUSTRY CO., LTD. Timing Kit, Timing Chian, Chain Guide, Chain Tensioner We are a professional manufacturer specializing in timing kit, timing chain, chain guide and chain/ belt tensioner based in Taiwan. These entire ranges of products are quality fabricated and are exceptionally reliable. For those in search of the best timing kit for automotive engine applications, we are certainly your number one choice! We keep all the 1000 timing kit items,we produced in stock. Complete stock and speed delivery is our top mission of service. SUPERMAN MOTOR INDUSTRIAL LTD. Auto Parts and Accessories, Automobile Accessories, Spare Parts, Lamps, Motor Equipments SUPERMAN MOTOR IND. Ltd. Is a leading and professional auto parts exporter in Taiwan. We are capable of supplying any parts available in Taiwan at competitive prices with full container loads, mixed containers, LCL shipment or air freight if the shipment is required urgently. 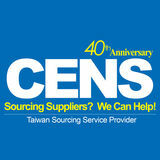 With our successful and professional experiences for decades, we can be your best supplier in Taiwan. JOY TIME Industrial Co., LTD. was founded in 1980 in Taiwan. JOY TIME is a factory making OIL, AIR and FUEL filters. We had got the ISO-9001 license form BSI in England. So we can supply the best Quality Control to our customer. We produce automatically by the latest machines like 4 LASER M/C, 500TON PRESSERR M/C…else. JOY TIME also supplies products to the OEM factory (ex: FRAM. HARLEY D…. ).Our main market includes AMERICAN, CANADA, EUROPEAN and JAPAN. DEUSIC AUTOPARTS CO., LTD. Fuel Filters, Air Filters, Oil Filters, Transmission Filters, Engine Fitting Parts, Auto Parts and Accessories Deusic Autoparts Co., Ltd. manufactures and distributes all kinds of filters for Automotive, doing business throughout the North, Central and South America, Europe and Asia. Deusic filtration group was established in 2001 in Chung Li, Taiwan, offers a level of service second to none throughout the industry. Our 1000 M2 warehouse and distribution center offers a substantial inventory to fulfill your company's needs. LUCRE LUCRE STAR STAR INDUSTRY INDUSTRY CO., CO., LTD. LTD.
We are one of the leading manufacturers of high performance Exhaust Turbo Manifold and Outlets in 2000. Our manifolds are designed to increase horsepower and torque by freeing up the exhaust and allowing spent ases to flow out of the cylinder more efficiently. Our Technology Skill: By our excellent bending and welding skill, we make the specialty of our manifolds - No easy cracking & smooth inner surface. ENERGY SKIP ENTERPRISE CO., LTD. Thermostat, Thermo Sensor, Ignition Coil, Ignition Module ENERGY SKIP ENTERPRISE CO., LTD. was established in 1995, specializing in providing cooling and ignition systems. RPE is one of the brands created by ENERGY SKIP ENTERPRISE CO., LTD. The products we carry are covering all kinds of cars from all the car companies. We provide products of high quality and competitive unit prices to all the partners selling automobile parts around the world. It’s our pleasure to provide the best service to you, no matter where you are. If you have any questions about RPE products, please feel free to contact us. We’ll be more than happy to provide answers to your questions. Established in 1989, the company is specialized in copper products and engaged in the development of copper parts. Over one thousand of products and thousands of speculations, the products mainly apply for hydraulic pressure and oil pressure accessories and also for water, gas, automotive and electronic parts and accessories. For better quality, lower cost and new product development, the company has purchased latest machines and equipments in succession these years for market demands, which also presents our spirits of innovation. SIGMA AUTOPARTS CO., LTD. Body Parts, Piston, Piston Ring, Alternator, Starter, Ignition Coil, Ignition Module, Oil Pump, Fuel Pump, Water Pump, Gasket, Radiators, Radiator Cap SIGMA AUTOPARTS CO., LTD is located in southern Taiwan. It is an excellent and one of the most competitive wholesalers in the auto parts industry. As being a professional auto parts exporter and importer in Taiwan where there are many automobiles on the road, Sigma works actively and passionately in this field, continues to move forward, in hopes it can provide the world market with more diversity and pleasant options. L & S (TAIWAN) ALLIED CO., LTD., is one of the largest manufacturer and exporter of Electrical Terminals, Tools, Kits, Wiring Accessories, and Marine Accessories for Automotive, Marine, and Household industries here in Taiwan since 1976. With over 35 years of expertise in the industry, we guarantee to supply diverse lines of highquality products/customization/consolidation service and satisfying one-stop shopping experience at competitive prices. A-One Parts Co., Ltd. was building in 1989. "Where is the car, where is our parts" is not only our purpose but also our way. Our main production lists follow items: CENTER BEARING SUPPORT ABSORBER MOUNTING STEERING GEAR ASSY STEERING COUPLING & JOINT The parts main exported for United State, South East Asia and Austrilia. Secondary market is West Europe, Modia South America, South Africa and so on. Holding" Excellent Quality, Reasonable Price and Prompt Serving"is our goal, thoroughly carries out the symbol of perfect production so as to accept the arrival of international trade liberalization. Welcome your sample or drawing in advance, serving your is our pleasure. Sloop Spare Enterprise Co., Ltd. has done an excellent job in upgrading the precision of our products over the years since our establishment in 1984.Specializing in making a wide variety of auto steering systems. And have gained the approvals ISO 9001/2000. We will continue to develop and innovate, and to provide ever more quality auto parts. Our web site: www.sloopweb.com, contact us for further information. OEM and ODM orders are also welcome. Sloop is your best choice and faithful friend forever offer high quality. Products and the best excellent service for you. Our company “Oriental Star Chemical Inc.” was established in 1991. It is located in Taichung, Taiwan. We have many years’ experience in studying the rubber properties and designing relevant recipes for our customers. The various master batch accelerators and refined processing rubber produced by our factory can meet the special demand from different customers. Besides, our excellent technology in carbon black processing and the strict quality control are well acknowledge and accepted by our domestic and foreign customers. FU-SHEN INDUSTRIAL CO., LTD. Transmission Gears, Different Gears for Automobiles, Auto Components, Rear-Wheel Transmission Shafts We are FITORI (FU-SHEN) Industrial Co., Ltd., which was established in 1987 on producing various kinds of transmission and differential parts especially in gears to be specified in cars, light/duty trucks and forklifts/heavy equipment, we are dealing in after-market for the brands as Mitsubishi, Toyota, Isuzu, Nissan, Hino, Mazda, Scania, Mercedes Benz and ZF transmission gears ...etc. We are professional and have experienced in this field more than 25 years, our products have been promoted to various countries based on reasonable prices and quality reliability. Please kindly find our latest catalogues attached. If you are interested any item, please don't hesitate to contact us. SING YUNG MACHINERY CO., LTD.
SAJONES CO., LTD. Distributors & Components, Ignition Systems We have stuck to our core management concept of “Customers First, Service First” since our company was established in 1970. With a strong research and development team, we can offer diverse products to meet customers’ requirements. Our major products are brake master cylinder, wheel cylinder, clutch slave cylinder and clutch master cylinder and other automobiles parts. We have conducted the strictest quality control to pursue perfect quality. As a TS16949 certified brake cylinder manufacture, we are confident not only in our quality but also the excellent services that we can deliver to our customers. We strongly believe that we can become your best partner on a long-term basis. Please contact us if you need more information. "SDC" is a reliable manufacturer and the best brand in Taiwan, specializing in making the Japanese Truck& Trailer Parts - Clutch Booster, Foot Valve, Airmaster, Relay Valve, Pressure Regulator, Brake Chamber.....and much more. We have over twenty years (since 1987) of Technical Experience in these production lines. We have a reputable and professional sales force covering the local and export markets with our strict QC control. Our mission is to provide best quality and best service to our valuable customers. JUIN DAW ENTERPRISE CO., LTD. Sending Unit, Fuel Gauge, Fuel Level Sensor Juin Daw Enterprise Co., Ltd. have had more than 20 years of experience in manufacturing Sending unit(fuel gauge / fuel level sensor) and have ISO 9001 certificated. In the beginning we only designed for Japanese cars, later we also developed models for U.S. cars as well as European and American classic cars, which have since become our major products. Selling over a thousand kinds to the U.S., Canada, Central and South America, Africa, the Middle East, New Zealand, Australia, and Southeast Asia, we now also supply innovative sending unit assemblies used on heavy-duty vehicles and boat. Look forward to setting up the business relationship with you very soon. KTC (Main Horn Industrial Co., Ltd) established on 1959. We are one of the professional manufacturers of steering part in Taiwan. 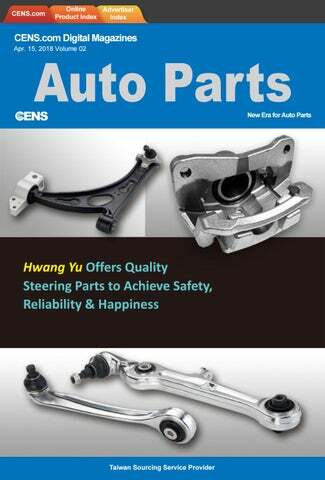 We provide suspension parts and steering system,like ball joint , tie rod end , control arm ,idler arm , center link,rack end and sway bar. Our products and toolings which the whole steps and processes of production, including assembly, packing and shipping arrangement, all are done in Taiwan. HENG FU INDUSTRIAL CO., LTD. Bumper, Grille, Fender, Grille Panel, Rocker Panel Heng Fu has established distribution network all over the world, which helps us to better promote our products in the international market, owing to our punctual delivery, competitive price and diversified production line, now we have successfully obtained more than 50% market share and received customers' support and trust widely, but we will carry out continuous research and development, establish our technical standard, improve the efficiency of the processing to provide customers with superior products and services. Our glory comes from your appreciation, how to maintain and create a more glorious, brilliant future, is our most important responsibility. OEM PLASTIC AUTO PARTS. OEM INTERIOR IRON FASTENERS OFR BUMPERS. Our office is in Taiwan and the tire factory is located in Vietnam. Our main products include ATV Tires, Solid Air Tires, Lawn Mower & Garden Tires, Wheel Barrow Tires, Implement Tires, Trailer Tires, Mini Passenger Car Tyres, Light Truck Tires, Snow Hog Tire, Agricultural Tractor Tires, Standard Street Motorcycle Tires, Scooter Tires, Hi-speed Tire, Tok-Tok Tires, and all kinds of Inner Tubes. We provide the competitive price, fast delivery, and the most important - best quality. Welcome to contact with us for further information. As an expert of over 30 years in the arena,we are professionals in producing auto/motorcycle parts for international markets.Supported by our profound experience,excellent technique,we emerged as a specialist manufacturer for motorcycle engine valves and then are growing by R&D of various car lamps and mold designing.Currently,weâ&#x20AC;&#x2122;re devoted to producing assorted side lamps,tail lamps,interior lamp,signal lamps,license lamps for trucks,lorries,tractor-trailers,vans and buses, apart from existing motorcycle rotary valves,and reed valves.We pay much attention to details of every process of our products,turn in the products on time,and are loyal to our customers and keen on meeting their demands.Each items exquisitely made by us are through strict QC system. AUTOPAX SUPPLIES, LTD. Door Mirror, LED Flashing Module, Electrical Parts, Mirrors Enjoying preferred-buyer status with over 200 different suppliers, we can help you find and purchase just about any auto accessory you need. You can order our Car & Art or Type X House brands, or send us your OEM/ODM specifications for custom items. Either way, we'll conslidate your orders into one shipment, and send the whole lot to you in 30 days or less. Much easier than, say, calling and ordering from 10 different suppliers, and then receiving 10 different shipments on different days, and paying shipping on 10 different orders. CHING CHING MARS MARS CORPORATION CORPORATION Warning Lights, Light Bars, Lamps, Police Light Bar, Strobe Light, Revolving Light, Plastic & Rubber Parts, Auto Accessories, Diversified Lighting Ching Mars Corporation has been a strong force in the manufacture business of safety and warning lights for over 25 years. This Taiwan-based company supplies lights to many satisfied companies all over the world. With strong customer support & quality products, Ching Mars has developed into one of the most reliable suppliers for clients around the world. “Our principle is to produce high quality products and provide the best service to our customers”. ESUSE Auto Parts is a professional automotive lighting manufacturer in Taiwan. We established in 1984, with more than 20 years experience that we provide total solution for all lighting products, such as photometrical design, mould making, and laser scanning, CAD, rapid prototype, certification then into production. Our main products are Head lights, Tail lights, Signal lights, LED daytime running lights, LED fog lights, Fog lights/ Driving/ Spot lights, off-road lights, Lighting accessories, Switch, Wire kit. KELAI ENTERPRISE CO., LTD. Auto Parts, Body Parts, Cooling Fan, Tie Rod End, Ball Joint, Cross Rod, Piston/Liner, Lamps, Pitman Arm Kelai is a professional manufacturer and exporter of automotive replacement parts and accessories. We producing OEM and performance items, including of head lamp, tail lamp corner lamp and bumper, grille ,mirror ……etc. Our team has more than 20 years experience in the field, Kelai with the ability to offer customers with good advice and suggestions on purchase, the best product, quality , competitive price, and fast delivery. Also welcomes the opportunity to help new products with customers. Yong Sheng Co., Ltd. was established in 2000 to manufacture auto rear view mirrors. Insisting on “Customer Satisfaction, Innovation with R&D, Continual Improvement, and Responsible Operation” we will strive to do an even better job in auto mirror manufacturing in the future. All the work from design, mold creating, R&D, assembling, manufacturing, and certificate acquiring, we can all finish by ourselves. For further serving our clients, we established our Chinese factory in Gwandon Province in late 2002. * 2000 Approved by Germany’s TÜV (E4, E13) * 2003 Approved by The UK’s VCA (E11) * 2006 The EU Lab of our China factory was established and TÜV certified. WEI LIANG POWER WINDOW ENTERPRISE CO., Auto Power Window Regulators Specializing in making automotive power window regulators, Wei Liang has a strong R&D team to meet every need, backed by stringent quality management and superior-quality products that are marketed worldwide and highly recognized. Providing reliable quality and all-round service, we aim to build business with customers, especially create business of higher value. We recently became ISO 9001-certified. Contact us for more information. WEI LIANG POWER WINDOW ENTERPRISE Auto Power Window Regulators Specializing in making automotive power window regulators, Wei Liang has a strong R&D team to meet every need, backed by stringent quality management and superior-quality products that are marketed worldwide and highly recognized. Providing reliable quality and all-round service, we aim to build business with customers, especially create business of higher value. We recently became ISO 9001-certified. Contact us for more information. TAIR-WANG TAIR-WANG ENTERPRISE ENTERPRISE CO., CO., LTD. LTD. Car Door Handles, Door Lock Knobs, Knock Off Spinners, License Frames, Motorcycle Accessories, Household-Use Hardware, Hardware Parts for Tair Wang Enterprise Co.,Ltd was founded in 1978. We are a zinc die-casting manufacturer with ISO/TS 16949 approval. Our products include Harley-Davison motorcycle parts, restoration parts for classic cars, auto parts and accessories, hardware parts, and all kinds of high quality die casting products. A-BELT-LIN has experiences for manufacturing seat belt, racing belt, tow rope, tie down, industrial safety belt, lift sling ,various hardware and plastics productions for over twenty years. We also applied for many kind of certifications, which including FMVSS209/302,E Mark, CE, CNSâ&#x20AC;Ś. etc. Our customers are all around the world. For supplying our customers in diversified requirements. We has established factories in Taiwan and Dongguan China both. CAR WAY CO., LTD. Power Window Regulator, Window Motor, Wiper Motor, Power Window Switch, Car Door Outside/Inside Handle Car Way is a company established in Taiwan. We are specializing in supplying & developing of car door parts and truck spare parts. Our product range are covering window regulator(window winder/window lifter), power window switch for both driver side and passengers’ side, window motor, door handles, door lock, speed sensor, bumper, grille, gasket.........all kinds of SCANIA, VOLVOVBENZ TRUCK, European and Japanese truck spare parts. We have more than 6,000 items available in our current product range, ”Top quality & services.” is our policy and goal to achieve. GOOD SUCCESS CORP. Seat Belts, Ratchet Tie Dow, Tow Strap, Belt Sling For more than 3 decades, we have been offering to the international market our super quality safety belts, performance car safety belts, tie down straps and tow straps. We perform the strictest quality control to ensure impeccable quality and consistence. Try us. No order is too small or too big for us. Overview: Hsin Yi Chang Industry Co., Ltd. was established in 1980.With many yearsâ&#x20AC;&#x2122; design experience, now HIC was widely known as our kindly services and delicate products. We excel in producing Window visor, Rear sun guards, Rear Roof visors, Bonnet Deflector, Sunroof deflector ,auto front protective lampshades, Windshields etc. We have more than 1000 models now. Specializing in producing and serving all finished inhouse, acrylic molding and other miscellaneous products. Objective: We are looking forward to join in the international competition in the future. Constantly extend ourselves to promote international image and aggressively stand on the top of Taiwan, step toward the world. Since 1977, we are proud to have 30 years of experience in the field of bike carriers, roof racks and pet barriers. We offer the state of art equipment in manufacturing and validating bike carriers. In addition, our R&D team is comprised of highly experienced engineers who follow T.U.V. guideline to design the safest and the most innovative products. Under the new management in 2010, KingRoof has evolved from a professional manufacture into a world class center of designing, testing and manufacturing bike carriers in Taiwan. We are one of leading auto parts exporters in Taiwan, and have been exported to many clients around the world, including the items of bumper, Grille, Alloy wheel, spoiler, Fog Lamp, Muffler, and Brake systemsâ&#x20AC;¦etc supplying parts mainly for after market service. All our products are made in Taiwan with excellent delicated work. We are able to cope with the developing new products by clients demands as well. To innovate new items is always our goal to pursuit constantly. ZHENG YUE ENTERPRISE CO., LTD was established in 1990, and are specialized in develop and manufacture Auto Accessories. As a specialist in auto decorative lights, warning lights and innovative touch switches, we have developed new products including main products , Daytime running light, Neon lights, Bumper lights, strobe lights, stop lights, side lights, Nozzels, reverse horns, mini sirens and so on, also. R & D teams of ZHENG YUE ENTERPRISE CO., LTD. Has very mightiness strength in OEM and ODM to fulfill demand of different customers. Furthermore, fast service, best quality and competitive price are top management tacit principle of ZHENG YUE ENTERPRISE CO., LTD. Looking forward to have the chance to start business relationship with any customer worldwide. Since the beginning of our company's establishment in 1986, we have more than 20 years experience of manufacturing plastic and metal molds in the automotive part field. With the 20 years experience, we start to develop the quality and reliable products and manufacture by ourselves. Yungyuan Forward Co., Ltd is an international organization which offer the excellent service, best quality, on time delivery and competitive price. We are ready to provide the best service and develop the long term, successful partnerships with distributors in every market. YUNGYUAN FORWARD CO., LTD. No. 8, Lane 179, Sec.1, Jhongsihg Rd., Wugu Dist., New Taipei City, Taiwan 24872 Tel:886-2-2988-3902 Fax:886-2-2988-3907 E-mail: sales@yungyuan.com.tw Website: www.yungyuan.com.tw E60 front cup holder for LHD, passenger side. The company was founded in 1976 and started engaging in producing office chair bases on an OEM basis in 1980s. In response to customersâ&#x20AC;&#x2122; demand, it has continuously expanded its product portfolio to various hardware and related products since then. To enhance quality, we have introduced ISO-9001 system into its QC processes since 2008, so as to meet market demand. Presently, our product line encompasses office chair bases, backrests, mesh backs, chair legs, chair frames, table legs, systems furniture accessories, lock parts, auto body parts and accessories, engine parts & accessories, auto moldings, cable trays for photovoltaic systems, and many others. EVER EVER PIONEER PIONEER CORP. CORP. Office Chair Bases, Chair Backrests, Chair Mesh Backs, Chair & Table Legs, Synchronizing Mechanisms, systems Furniture Accessories, Office The company was founded in 1976 and started engaging in producing office chair bases on an OEM basis in 1980s. In response to customersâ&#x20AC;&#x2122; demand, it has continuously expanded its product portfolio to various hardware and related products since then. To enhance quality, we have introduced ISO-9001 system into its QC processes since 2008, so as to meet market demand. Presently, our product line encompasses office chair bases, backrests, mesh backs, chair legs, chair frames, table legs, systems furniture accessories, lock parts, auto body parts and accessories, engine parts & accessories, auto moldings, cable trays for photovoltaic systems, and many others. Arcon Ltd. (Arcon ToolTech) is known as a product fabrication coordinator, trouble shooting and problem solution since firm is established. In first past decade, we provide product solutions from many perspectives such as engineering R&D, manufacturing process integration, quality assurance, and logistics management. With a decade of product development and continuous R&D input, we have successfully structured an independent sourcing system and manufacturing support, which drive Arcon ToolTech to provide better service to match â&#x20AC;&#x153;Made in Taiwanâ&#x20AC;? product under Arcon ToolTech brand to right users along with superior quality and competitive cost in next decade. CHAIN BIN ENTERPRISE CO., LTD. are manufactures in Air tools (Ratchet) wrench ,Professional car repair tools ,Hydraulic press & pipe bender... Main Products/Service:Spray Gun & Pressure Tank, Auto Repair Tools.Spray Gun, Pressure Tank & Accessories, Handtools, Auto Repair Tools, Table Lamps, Decorative Lights, Wall Lamps, Tool Hardware, Spray Gun, Air Tool Specialists. CHIA-LUNN INDUSTRIAL CO., LTD. established in 1978 by the President-Mr. Hong and specialized in manufacturing the accessory of machinery and hydraulic pumps. From 1987, we have been specialized in designing and manufacturing the professional hydraulic equipments and tools for Auto Repairing Shop. Base on the concept of sustainable manage and keep growing up, had built up our own brand name-JACKRAM from 1999 to sell goods in the worldwide. To be much better, we had expanded the production line and succeeded in going into industrial market from 2003. GRACE NEWS INC. Hand Tool Kits, Socket Set Grace News Inc. founded in 1989 is an international supplier of high quality, professional tools based in Taiwan. With over 27 years of experience in the industry we have developed a professional reputation for our customer service and innovative products. We specialize in a wide range of hand tools as well as automotive repair tools. With a commitment to our work, the needs and requirements of our customers from across Europe, the United States and beyond have always been met and improved upon. Our mission therefore is to achieve total customer satisfaction. Tsai Hsing Fa Co., Ltd. is an experienced Auto Repair Tool & Equipment Exporter in Taiwan. For the past several years, Tsai Hsing Fa Co., Ltd. is always working on Automotive Repair field, try best to benefit customers' need and try to offer a fully series of Auto Repair Tool & Equipment with quality products. Under this main basic self-requirement, the clients have already webbed all over the world. The main product line includes: General Tools, Auto Repair Tool, Auto-Body Repair Tool, Engine Repair Tool, Tire Repair Tool, Electric System Repair Tool, Car Door & Window Repair Tool, Under-Car Repair Tool, Braking System Repair Too, and so on,... In October, 2006, Tsai Hsing Fa Co., Ltd. has obtained ISO9001 certification. YING PAIO ENTERPRISE CO., LTD. Tool Kits & Equipment for Vehide Repairs, Repair Tool Kits & Equipment, Repair Equipment, Repair Tool Kit, Valve We are a professional manufacturer/supplier of tire/tube repair kits items, such as cold patch repair kits, rubber solution / cement, tire seal strips, tire/tube repair tools, tire valves, valves tubing, bicycle repair kits, tubeless tire repair kits, medical and industrial aluminum tubular. We've been in this field for over 30 years. We have own two factories which locating in Taiwan and China and our own brand such as "THUMBS UP," "DIAMON," "YP", "SUPPERCOLLE" and "NUMBER ONE," which represent the top quality and satisfied guarantee. We welcome orders of OEM & ODM. If you have any opinion, please feel free to contact us. We'll do the best for you. We specialize in car/motorcycle flashers,, circuit breakers, start relays, wiper motors resistors,etc... We are an ISO9001: 2000 approved exporter & manufacturer of auto Parts, relay & flasher, supplier in Taiwan. ... Our product range covers DC voltage, high overload products and time-delay controller. "Short, small, light and thin" are the current trend of car electric items. With more then 15 years of anufacturing experience and the modern equipment, we have ability to produce, design and improve the products to meet customer's need. The result of more than 39 years of manufacturing experience, CLF double-toggle injection-molding machines offer a broad range of applications, consistent results,plus heavy-duty construction. Their cost advantage is largely due to the standard CLF features that competitors list as options. These apply to all CLF injection-molding machines from 50 to 4000 tons--the broadest line of its kind for your specific job applications. The clamping unit, with rigid double-toggle verticalaction design, produces a firm, even clamping force. JUN-EN, one of the leading companies in Taiwan, has been in the metal mesh industry for over twenty years. During these years, we have been servicing thousands and thousands of satisfied clients, both international and domestic. Our reputation in the industry is well rccognized. In recent years, our R & D team has devoted their time and talent to designing and developing and developing of improve productivity also in adding the market of mesh machinery to our regular business lines, Because of its competitive price and high quality, our machines have been sold to many parts of the world and well acclaimed.